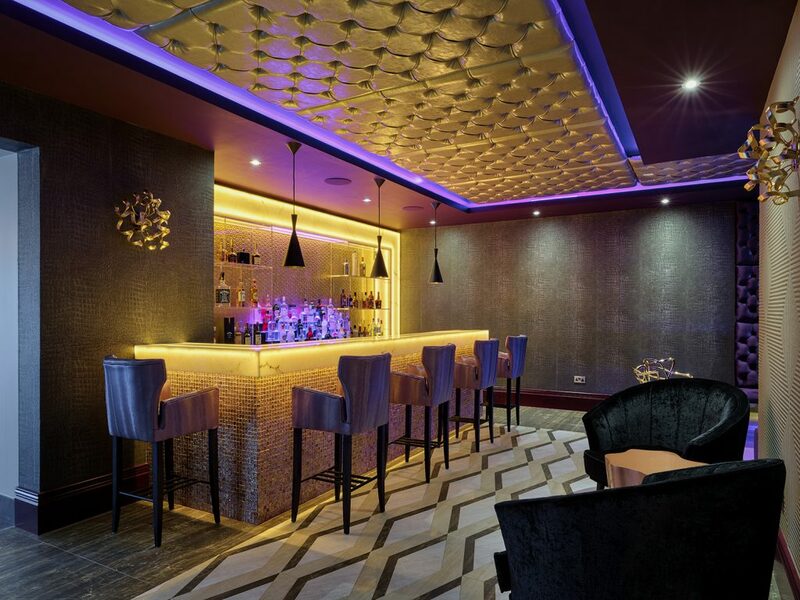 This home bar for a private residence in Platt Hill Wood, Sevenoaks is another example of the high standard, luxury designs, Astounding Interiors can create. 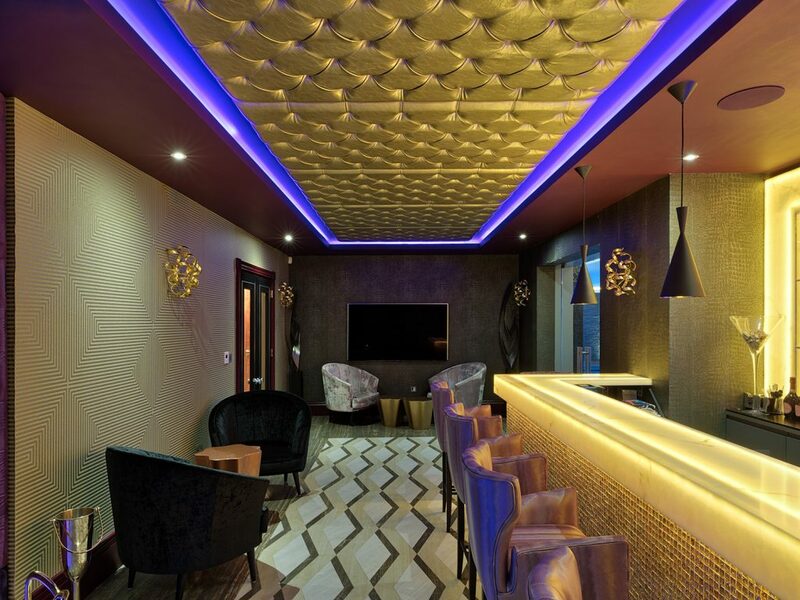 The design includes a backlit Marblo solid surface as the main source of lighting for behind the bar and bar top work surface, LED plays a big part around the seating and on the insert ceiling. 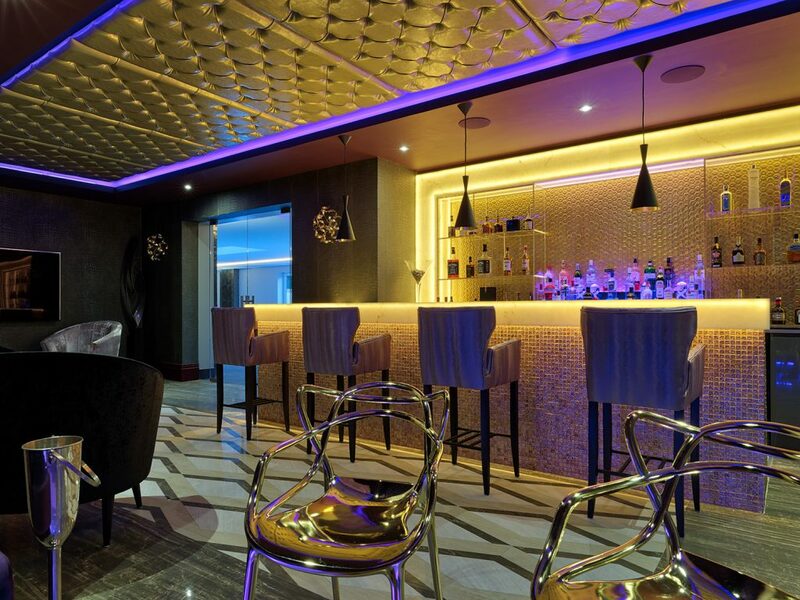 We also used spotlight lighting and pendants to provide lighting across the rest of this private bar. 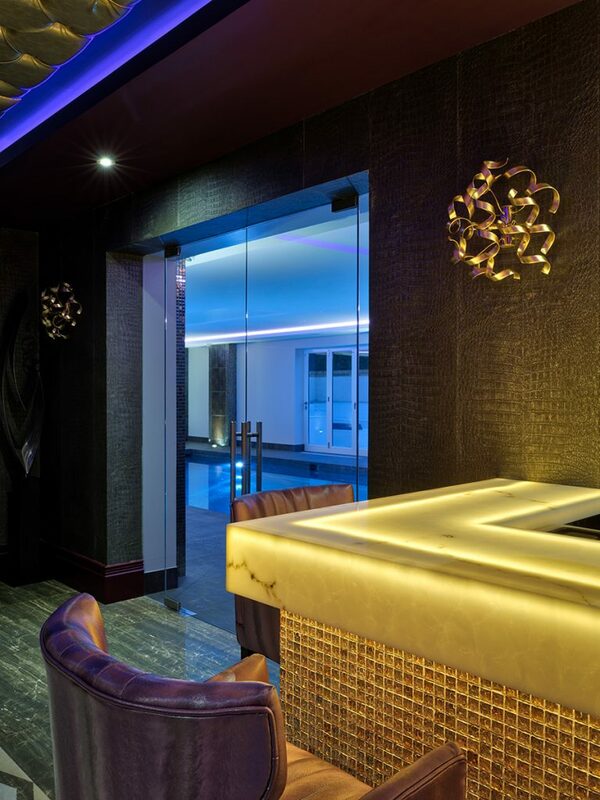 A variety of textures were used in this design – a principle that added a feeling of luxury through the stimulation of the senses. 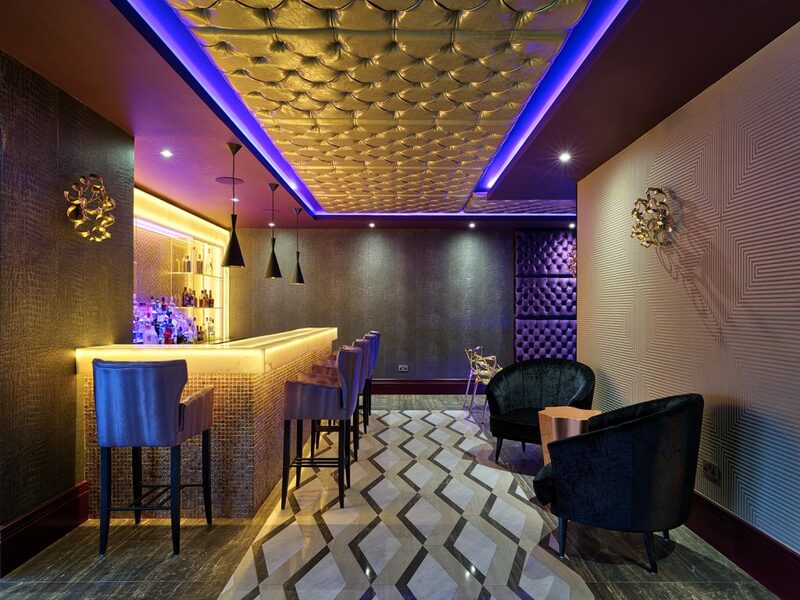 A heavily purple and gold colour palette was chosen because of their common association with being luxurious, regal and classy. 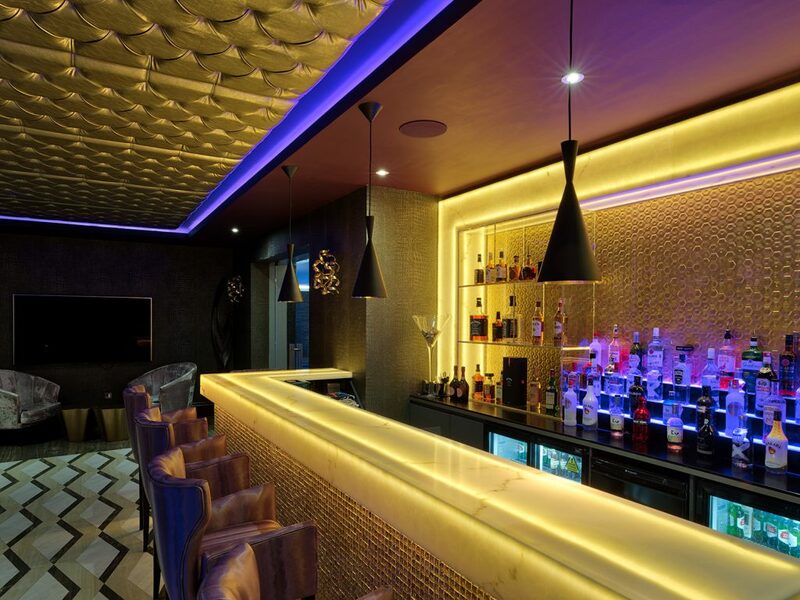 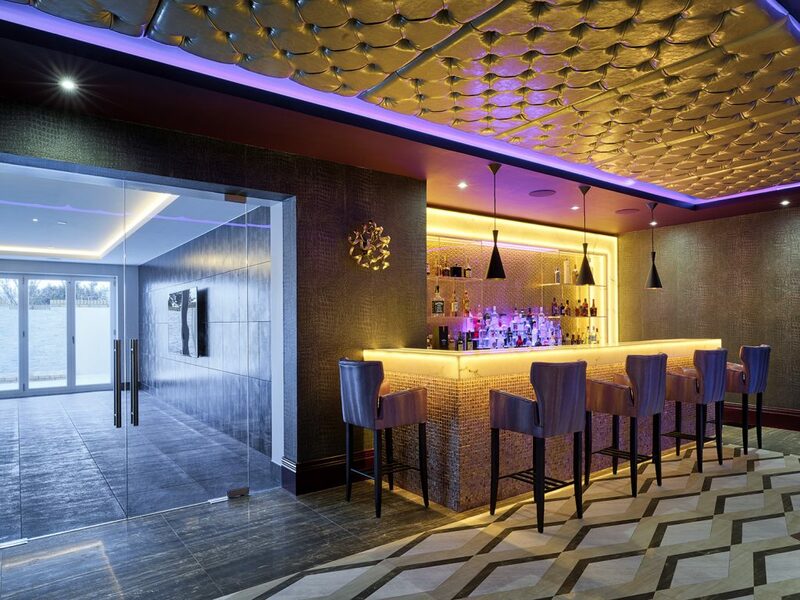 The combination of the white marble-effect surfaces on the bar, against the plush padded surfaces on the recessed ceilings and booths inspire the mind, helping to create this ostentatious interior.